£100 secures the dates, this includes a £50 returnable deposit upon checkout. Deposit is payable within 7 days of booking. Outstanding balance due 4 weeks before arrival. 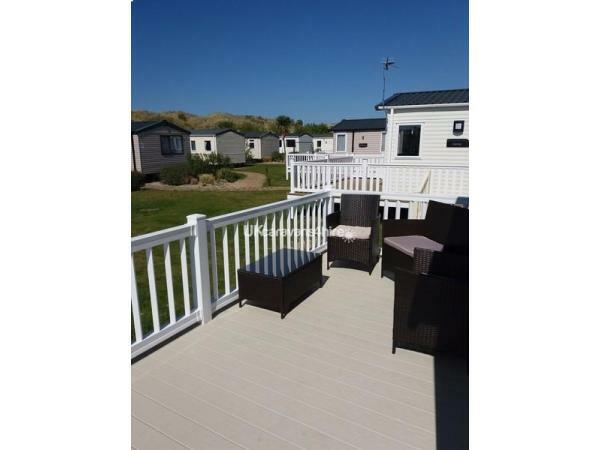 Our caravan is situated in a perfect place for views and for all park activities that your family need. The beech is within a minutes walk. You will be able to park directly at the rear the van as we have our own parking space. 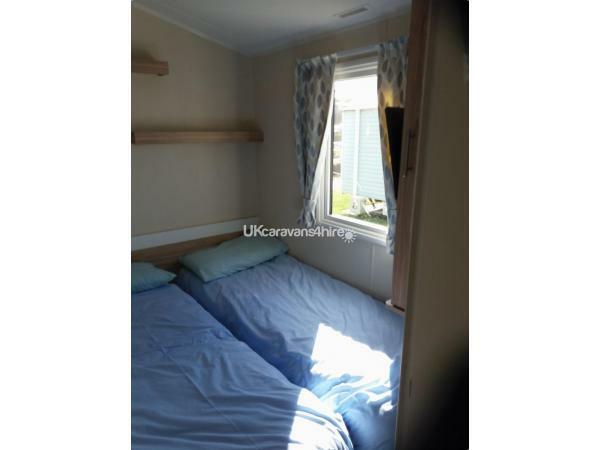 The caravan has 1 double bedroom, 2 twin bedrooms and sofa bed. 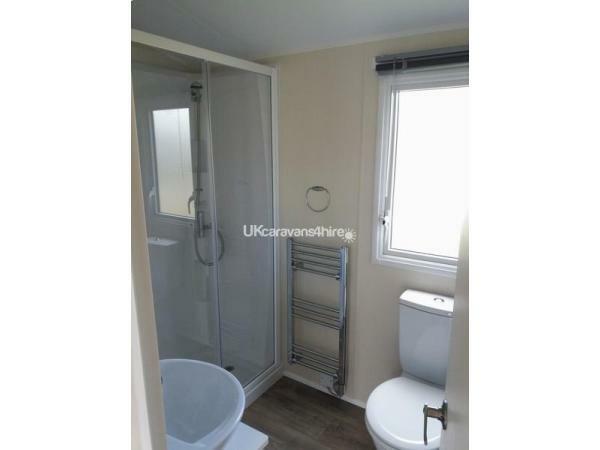 We have 2 wc and a shower. We supply bedding, (no towels provided), 40" free sat TV, in living room and there is a TV in both twin rooms. 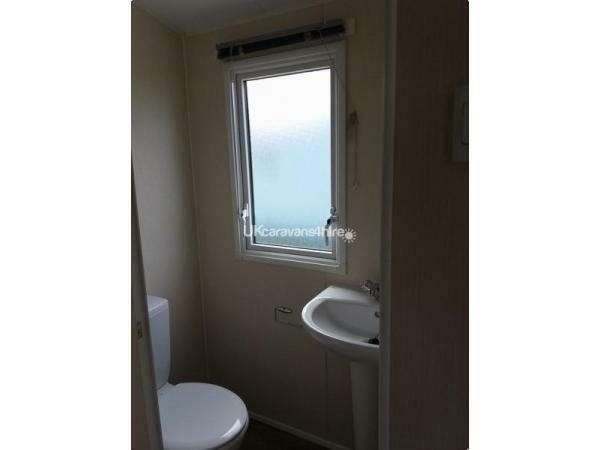 We have decking full length of the van with a 8ft patio at the front which is lovely for relaxing and we provide patio furniture to allow you to enjoy the view. 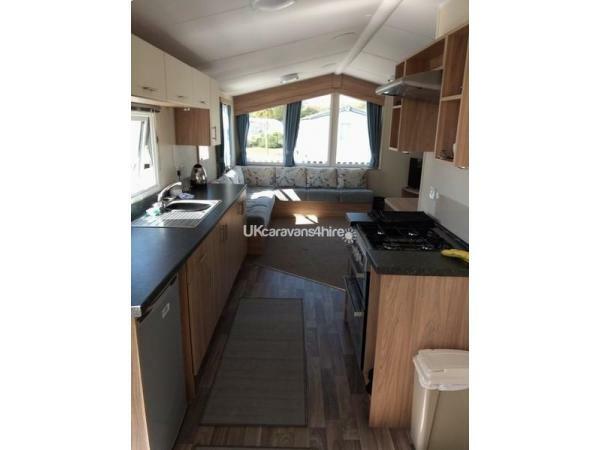 We are a non smoking/no pet caravan and van must be left in a clean,tidy state as you fine it on arrival.Please note park passes are not included. 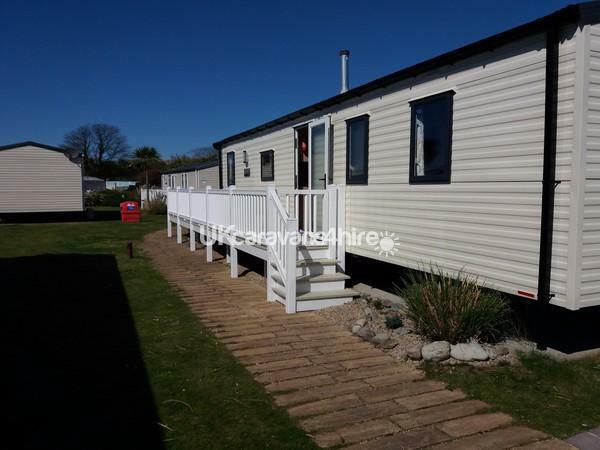 Wonderful week in this well placed caravan on the park, close to the facilities and beach only a few minutes walk away....lovely to be greeted by Jenny on our arrival and we soon started our holiday.... Absolutely loved the decked area outside and managed to sit outside weather permitting on the good days! Beautiful caravan inside with everything you would need, we could not fault anything, it was our first holiday with our new baby and the use of the travel cot was appreciated too. Would definitely recommend this caravan and owners have been more than helpful, will be booking again for next year. Many thanks. We stayed here with our 3 grandchildren. A very warm welcome by the owners. Excellent location ,close to beach, pool and entertainment. All bedding was provided which was very helpful and saved us space in car. We would defiantly stay again. From start to finish, this holiday has been first class. Great communication when booking and nothing was too much trouble. 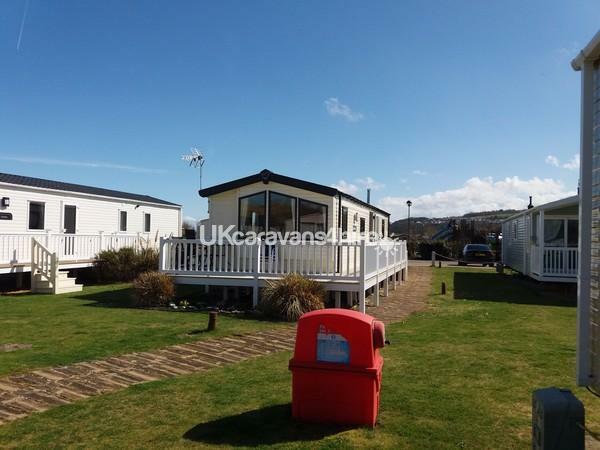 The caravan was spotless and located in a great spot for the pool, club house and stunning beach. Plenty of room and very well equipped. Can highly recommend. 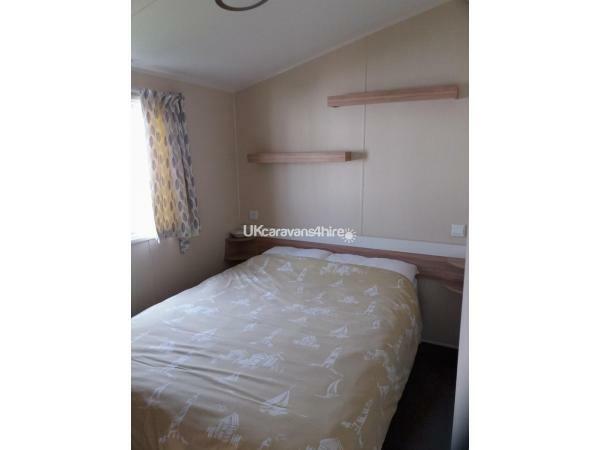 The cleanest caravan we've ever stayed in - everything from bedding to cooking utensils and carpets were spotless! Great facilities too in a fab location, close to all amenities. Owners greeted us, showing us around the caravan and how to work everything - added extra touches such as milk meant we could settle in straight away. We will definitely stay here again. On arrival at the park the owners were there to show you around the van and familiarise you with all the vans facilities. 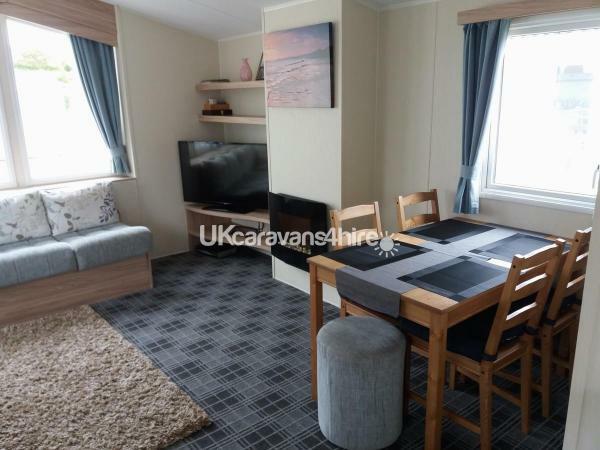 The caravan was spotless and extremely spacious inside and out as it also boasts a wrap around veranda with outdoor seating which we were able to take advantage off as we were fortunate enough to have lovely weather during our stay. We used all three bedrooms for our stay but there is a fourth bed in the living room if needed but it wasn't necessary for us this time but might take advantage next time. Plenty of cooking appliances in the van, oven,hob, microwave, toaster etc also USB port for charging phones/ iPads which can also play the music through the sound system in the van. Large seating area for us all to eat and play games around the table. Also to watch the television at night there is a large and comfortable seating area. Although we had lovely weather most of the week we did take advantage of using the blow heaters in the bedrooms one night and the gas fire in the living area and found it warmed up quickly. The van itself is ideally situated within the park as its close to all the amenities that Presthaven has to offer. Although we had a car we noticed there are plenty of local buses that regularly call at the site for holidaymakers to enjoy the local resorts. We had a wonderful week, found lots to do on and off the site and plenty of nice places to eat round and about too. 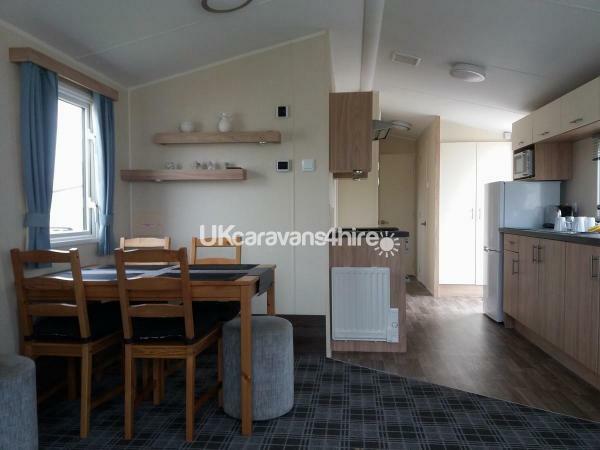 Would definitely recommend this caravan, Presthaven Sands and North Wales.